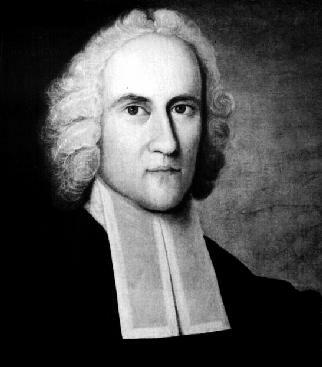 Jonathan Edwards had seen something and in the seeing he had lost the happy ability to avoid its truth for the rest of his life. While serving as a minister, he had become aware of a startling truth that rattled his soul and demanded proclamation. At first, he struggled with the idea and the calling and described the idea as "horrible." Jonathan had realized that the people he interacted with on a day to day basis were walking in the valley of the shadow of death. They couldn't see it but there was a sword hanging over each and every one of their heads. Jonathan became overwhelmed by the ease of the path of sin and destruction but had been startled to find out that even he himself was regularly choosing the path of sin and death. Of course, this was not often a conscious or informed decision. Instead, it was found in the everyday, little decisions. In each little decision was the seed of redemption or the choice of destruction. Once he had seen this reality, he couldn't believe that others were failing to see it. So, he decided he would spend the rest of his life trying to wake people up. On the 8th day of July, in the year 1741, Jonathan preached a sermon that would become linked with his name through the ages. It was in Connecticut that he preached this sermon entitled "Sinners in the Hands of an Angry God." Though the modern reader is likely to recoil at the shocking imagery that Jonathan selects it must be remembered that this was Jonathan's goal--not to persuade people to give the Christian faith a chance but to wake them up to the state of their soul and the impact that all the little things had on their lives. Though this sermon is often portrayed as nothing but "fire and brimstone" it's not entirely fair to focus on the hellish imagery when Jonathan's express purpose was to highlight God's mercy in the face of our continued practice of choosing the things that were and are destroying us. Again and again he repeated "There is nothing that keeps wicked men at any one moment out of hell, but the mere pleasure of God." Jonathan wanted to highlight that our condemnation was not something heaped upon us but, rather, something that we've freely chosen and definitively deserve. Justice decreed consequences for choices and yet we seemed to miss that point. He preached, "The sword of divine justice if every moment brandished over their heads, and it is nothing but the hand of arbitrary mercy, and God's mere will, that holds it back." 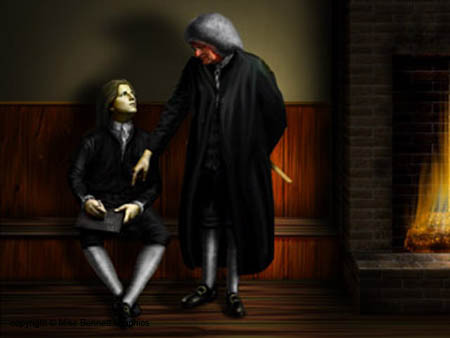 In response to Jonathan's (and others') work and preaching, people in the colonies began experiencing a revival that would later be termed the "Great Awakening." Further, he endeavored to challenge the people of the colonies not simply to be Christian in name but Christian in thought and deed, as well. Though many fainted, swooned, and had emotional reactions to his sermons, he did not let this go to his head. Instead, he wrote at length about the work of the Holy Spirit in the Church.He concluded that the movement of the Holy Spirit was often occasioned by emotional reactions but that these reactions themselves were not sufficient evidence to confirm the presence of the Holy Spirit in the meeting. Near the end of his life, he struggled with the politics of a local congregation and eventually his position was terminated by the congregation he served. In 1757, he went on to become the acting President of the College of New Jersey (now known as Princeton University). As part of his position there he was inoculated against smallpox. He did not survive the inoculation and died on the 22nd day of March in the year 1758.